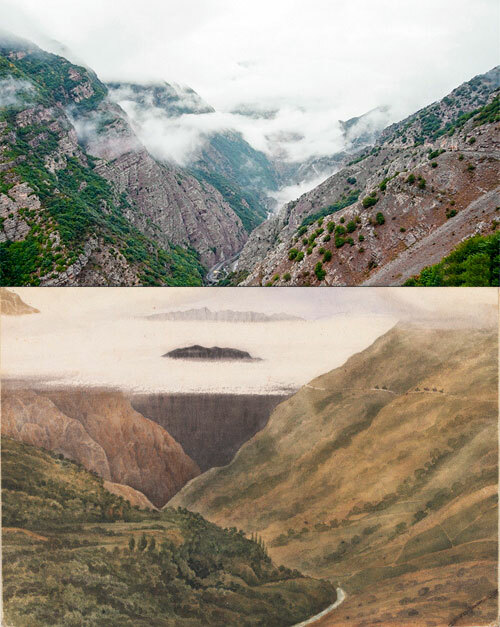 Hezar Cham, Mazandaran Province, Iran in 1833 & 2016. Hezar Cham is between Tehran and Chalus, near the Caspian Sea. The watercolour by traveller Godfrey Thomas Vigne (1801-1863) is kept at The Victoria and Albert Museum, London. 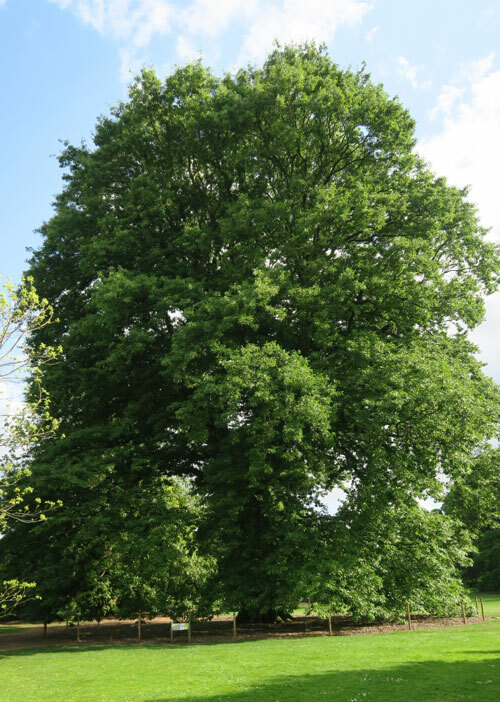 This Chestnut-leaved Oak (Bolandmazu in Persian) comes from Iran and was planted in 1846 at Kew Gardens. It stretches 30 metres high and 30 metres wide and is still growing fast. It is the fastest growing Iranian in London.